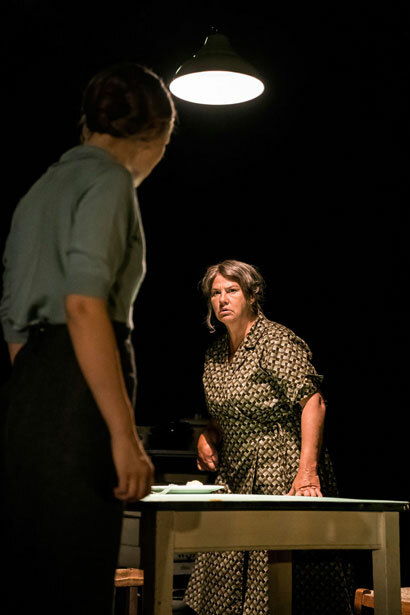 Sophie Treadwell has been a shamefully neglected figure in American theatre. A fierce radical she introduced an Expressionist style to Broadway, and despite focusing on themes such as the plight of women or the dehumanising effects of capitalism, she managed to have seven plays produced there in the 1920s and '30s. She is best known for this one however, which has been revived in a gloriously filmic style by Natalie Abrahami, a director currently on the crest of a wave. It’s a portrait of a fragile young women undergoing a slow motion nervous breakdown, struggling with the cold mechanistic nature of her typing pool job, the overbearing threat of machines and the constant all pervasive New York City noise. This horror of existence is made all the worse for her by the predations and general tyranny of the men she encounters and her own sexual frigidity. In many ways it couldn’t be more #MeToo and yet it was written in 1928. It also uses a staccato and repetitive style of language that could have stemmed from the pen of a Mamet or Pinter. The play is divided into 10 concise, perfectly honed scenes (it runs 90 mins without interval) which take us through her home life with her nagging mother and grinding office job, being wooed by the dull boss, the subsequent trauma of the honeymoon, the arrival of an unwanted child and eventually meeting a man she can love. This culminates in the killing of her husband and her going to the electric chair. Inspired by a real life execution case, it all adds up to an indictment of the criminal justice system and how women, particularly the most fragile, are treated by it and more generally by society. Abrahami totally embraces the expressionist style here and in a production that is itself like a perfectly honed machine, combines set, lighting, sound and music to brilliantly convey this young woman’s inner subjective emotional state rather than focusing on any outer objective reality. We are on the rollercoaster with her and we feel her pain. Miriam Buether’s set, perfect for this space, features angled overhanging mirrors which gives us a dual perspective and each scene is framed by industrial closing shutters. The design elements don’t stick with the 1920s but rather update with each scene, cleverly lending the play a timeless quality. 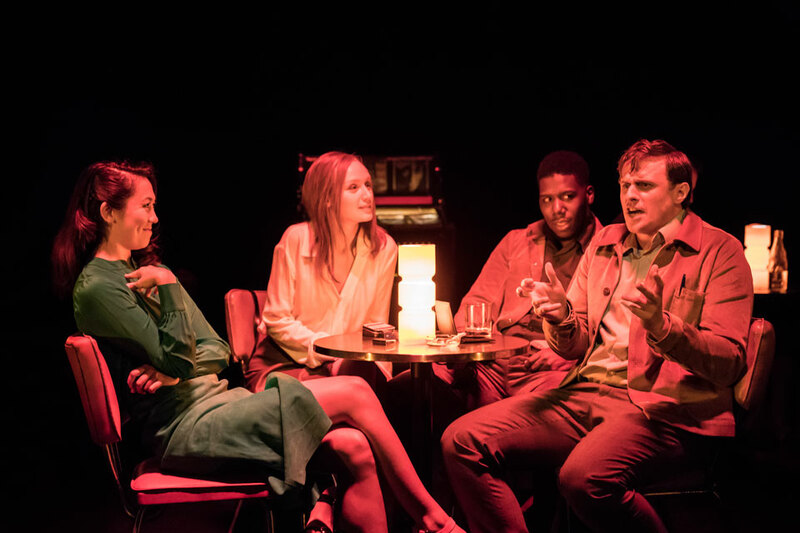 Emily Berrington, from TV’s Humans, has the unenviable task of following the great Fiona Shaw, for whom this was a career landmark at the National Theatre in 1993, and she has the air of fragility and wounded seriousness to pull it off. The ensemble work throughout is top class. Denise Black manages to be both irritating and moving in equal measure as the uncomprehending mother and Dwane Walcott is a welcome respite for her, and us, as the laid back lover. From the smothering subway train opening to the tragic ending there isn’t a weak link in this production.